Amazing watch, I love it. 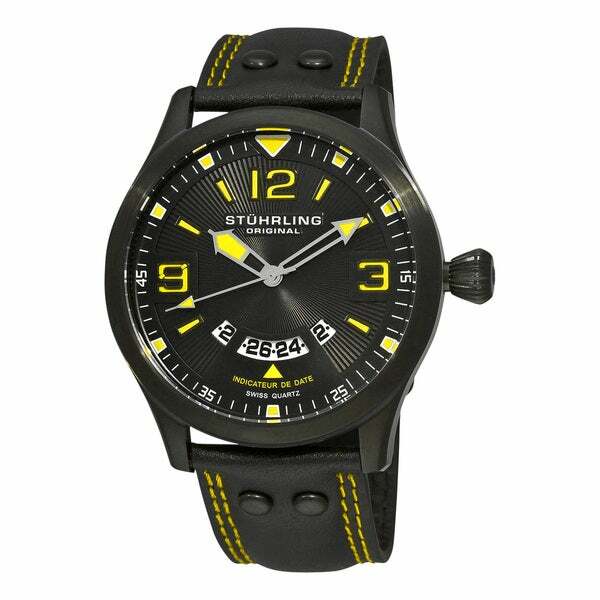 Stuhrling Original's Eagle Brigade is an exciting member of the Eagle Family. This incredibly sporty timepiece features large, pilot-style Arabic numerals and Baton-indices on a radiant dial inside a solid stainless steel case! Bought this as a gift for a 20 year old. He loved it. Very sharp looking with a large face. Much nicer than the picture. Also, has beautiful presentation packaging. It is impressive. Overstock once again performed their superb delivery guarantee just before Christmas.